The swingometer in 60 seconds Jump to media player A mainstay of the BBC election night coverage, the swingometer has been helping predict election results for decades. Each of the UK's 50,000 or so polling stations have been carefully selected according to a strict set of rules. They should be accessible, identifiable and provide that all-important privacy for voters. 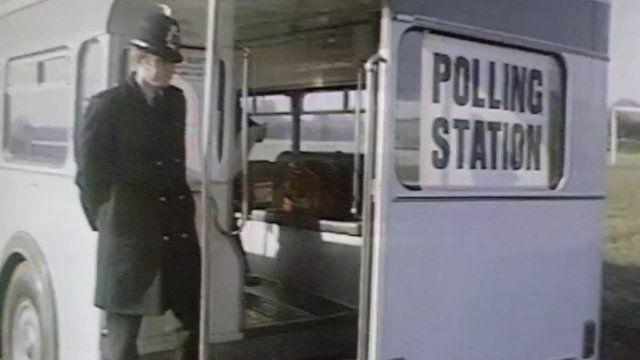 BBC News takes a look at some of the most peculiar polling stations, and polling day stories, from past elections which might not make the grade these days.